When working with new and experimental technologies, sometimes the best way to learn about how they work is to try and make something in them. 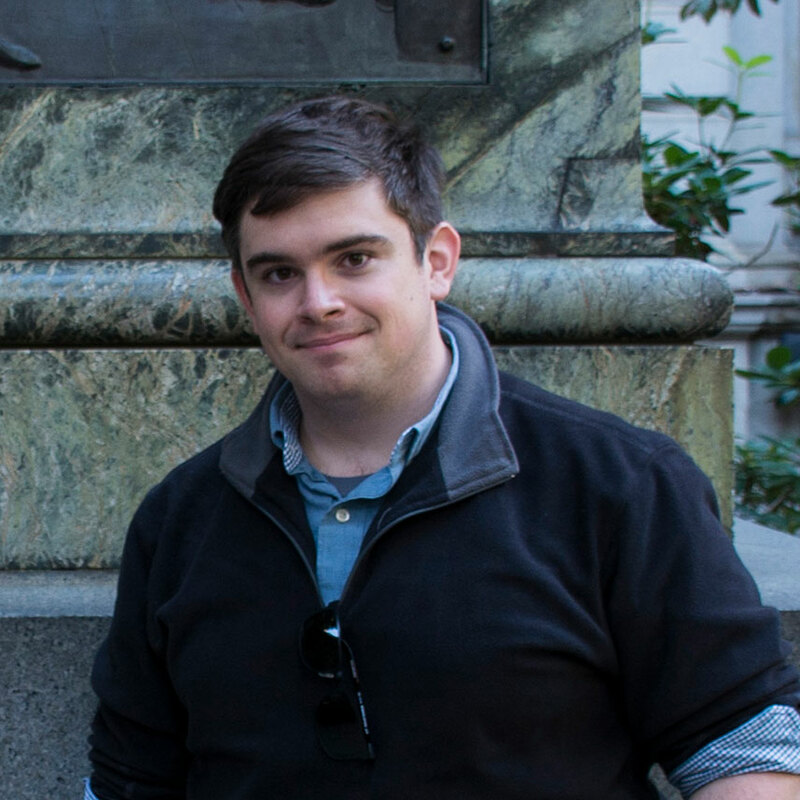 Mike Harris, a member of the local New Orleans gamedev community, visited the TurboSquid office to work with us on a HoloLens project. As a developer and game artist myself, I was very intrigued about the idea of what could be done in the new AR space, so we spent a day doing a mini-hackathon to see what development on the platform was like. Augmented Reality presents a completely different way of thinking from traditional graphical applications, and even veers off from the rules that are being formed around VR. 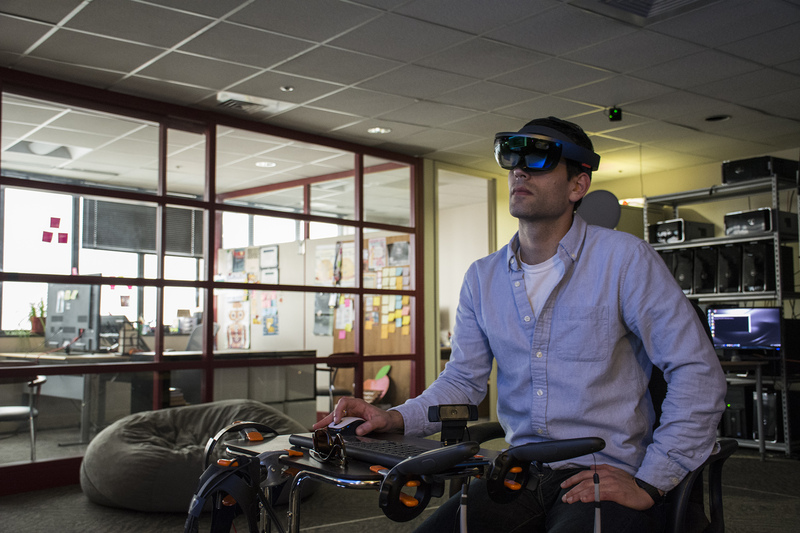 The best way to talk to a HoloLens is through Unity, which gives most developers some level of familiarity. Although the basic logic is familiar, everything from user input to screen rendering are handled differently. After going through the tutorial series Microsoft provides, we thought a good project would be an application that allows you to dictate and place notes in your environment– think of it like a ‘notes to self + holograms’. Even in the short amount of time we had, we managed to learn about how it updates its spatial mapping systems and dug into its speech recognition and dictation systems. We produced an app that allowed users to create 3D text of what they were saying as they held down their finger, and let the text stay in the world once they let go. For the time frame we had, it was a productive and fun exercise, and is a good starting point for future refinement in our free time. At the end of the day, the both of us learned a good deal about the platform and how to interact with it, and saw first hand what it was capable of – an interesting change of pace from the art pipeline focused approach I had taken with the device up to that point. 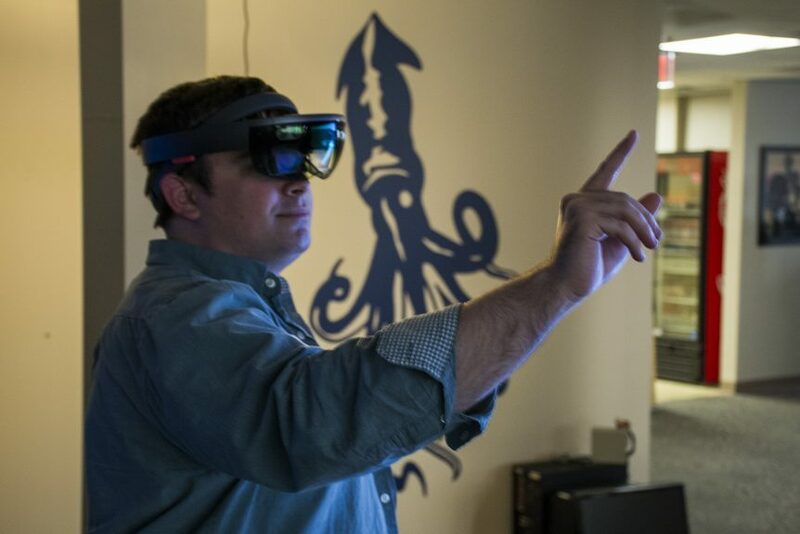 For platforms like the HoloLens, the people going to TurboSquid to find models for their projects aren’t always artists like me – they’re often developers looking to flesh out an idea and bring it to life in 3D. So much of the platform hinges on having objects with three solid dimensions that you can interact with and walk around like physical objects – simple text and icons won’t cut it in this space. At the same time, there aren’t many models that exist solely as interface elements. This project got me thinking– if you wanted to make a full computer interface and your desktop was your room, what would 3D models of ‘My Documents’ and ‘Start’ look like? How about ‘Back’ or ‘Refresh’? If AR takes off, the future of computer interfaces may be completely 3D, which is good news for 3D artists!